Creativity can be elusive to some. To others, however, it may seem to just come naturally as if it’s in their blood. As humans we strive to live up to our full potential in so many things, often conforming to social standards and what is expected of us. We lose our rights to creativity as we grown older and become more serious about careers, family, and daily life. Only the select few regain their creativity and carefree lifestyle they once had as children when the reach a certain age of no longer caring about being judged. But, how can we revive or enhance our creativity today? 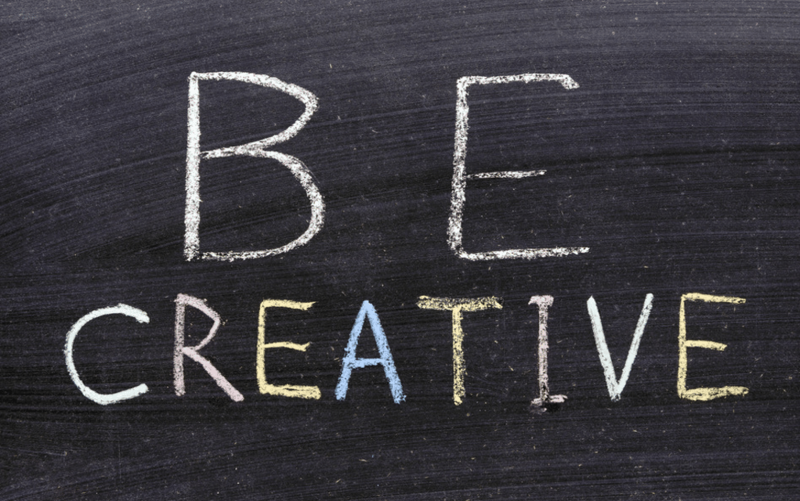 Here are 5 ways to be more creative right now. Having a cluttered desk isn’t conductive to creativity. It matters what you have around you. Distractions and messiness will hinder creativity and keep you from reaching your full creative potential. Take a few minutes to set up your workspace or studio in a way that will help ideas flow. Set up a creative, safe space where ideas are able to flourish and where your creativity can be nurtured. It doesn’t take much; a change of lighting, a clean workspace, some inspirational quotes, whatever works. Allow yourself to be surrounded by things you love and the creativity will pour right out of you. Creative problem solving can be hindered by bad habits. Einstein knew what he was talking about when he said the insanity is doing the same thing over and over and expecting different results. It’s important to just put down your current project and step away. Walk it off, do some yoga or meditate. The key focus here is to actually move your body to literally get your creative juices flowing. Allowing yourself to have a different perspective on a current problem involves removing yourself from that problem. The creativity will then start to seep in. When authors write books the main thing that keeps the plot moving is a question. “Then what?” Ask yourself that question and you will find yourself answering and continually coming up with more and more creative answers. What’s more is that by asking others questions, you are able to gain a new perspective. Someone else’s imagination will be working with yours and giving you answers or even more questions to think about. Creativity isn’t going to nurture itself if you never have curiosity. Someone else’s point-of-view is important to forming your own creative aspects. The most important thing when asking questions is not to judge and simply listen. Most people use music for creativity. But when you listen to the same old thing, you get the same old results. Try something new. High-energy Latin beats, low-key mediation sounds or chants, classical to subconsciously boost creativity. There is an option for everyone. Something helpful is to consider melodies, music without words to put unwelcome ideas into your head or distract you from the creative process. This allows your mind and body to feel something instead of think something, ultimately giving you a new creative outlet.